If you see me up the town you’d reckon I’m pretty much a ‘normal’ girl, mum of 2, married, living locally and getting on and enjoying life. I guess what you wouldn’t see is that on a most typical day I am in quite a lot of pain and doing my absolute utmost to keep everything balanced and at ease. I had a road traffic accident in Africa 17 years ago and broke my back in 5 places, puncturing my lungs and breaking my ribs. I was told it was very unlikely I’d be able to walk again. My friend died beside me in that accident and I believed I was on my way out too. This has left me with a great deal of both physical and emotional trauma to work with on a day-to-day basis. This all sounds very doom and gloom but I believe that being on this path has quite literally forced me to find a way to change, to manage, to deal with but most importantly to instil hope back into my life again. And on the majority of days, you will see me with a pretty big smile on my face thankful for this chance at life…. But it’s no plain sailing! I stumbled across acupuncture through a pain management clinic years ago and have been on a life changing journey studying it, alongside Traditional Chinese Medicine for 3 years, and am now a fully qualified acupuncturist myself. 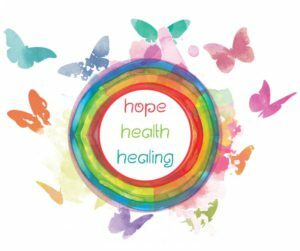 I am a big believer in ‘natural’ healing and will be writing about what I find helpful and what I find better to avoid in my own life to keep me, my mind, my body and soul as at ease and balanced as I possibly can. I hope you enjoy following this bumpy journey with me!